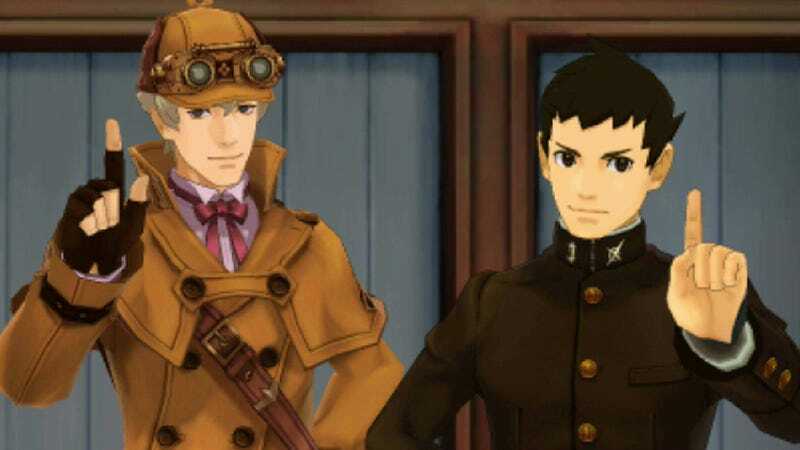 Dai Gyakuten Saiban, the latest game in the Ace Attorney series is set not in the near future but over 100 years in the past. The game never gives an exact year for its setting—but that doesn’t mean you can’t figure it out using a bit of real-world information. A few weeks back I put together a timeline of the Ace Attorney series based on the information compiled by users of the Ace Attorney Wiki. Like Dai Gyakuten Saiban, the Ace Attorney games never state a year (just a month and day)—except in one case. The DL-6 Incident, which is mentioned in the fourth case of the original Phoenix Wright: Ace Attorney, Turnabout Goodbyes, takes place on December 28, 2001. Turnabout Goodbyes takes place fifteen years to the day after the DL-6 Incident—i.e., December 28, 2016. From this knowledge the entire Ace Attorney timeline can be built. However, as Dai Gyakuten Saiban takes place long before the DL-6 Incident, the same technique can’t be used. Luckily, the game itself provides all the clues you need to discover the exact date. Dai Gyakuten Saiban appears to be set in the Meiji Era (September 8, 1868 to July 30, 1912) and takes place in both Japan and London. Over the course of the game, we see lots of little hints that narrow down the timeline. For example, the streets of London have no automobiles (the first driver’s license in London was issued in August 1903); and Sherlock Holmes is a predominate figure (his adventures happen between 1877 and 1914). However, the reason I was able to figure out a more exact date is the game’s inclusion of this man: Japan’s most famous author, Soseki Natsume (February 9, 1867 – December 9, 1916). You encounter Natsume in the game’s fourth chapter The Adventure of the Clouded Kokoro (the title is a mixture of the typical titling of Sherlock Holmes stories and Natsume’s novel Kokoro). In this chapter, Natsume has been arrested for murder and Phoenix Wright’s ancestor takes the case to defend him in English court. This is the key to the whole puzzle. While the real Soseki Natsume was never accused of murder, he did live in England from August 1900 to December 1902. In the game you meet him on February 19. When you interview him, he says he’s been in England for the past year. As February 1901 would only be six months in England, it’s far more likely you meet him on February 19, 1902.